Once you’ve joined a startup company or launched one of your own, you will continuously run up against thousands of issues that require your decision. All of these questions require your attention and acknowledgement, as well as fast and (even more importantly) correct verdict. Do we create a new market for our product or enter an existing one? Our initial idea was to create a better team messenger, but we hadn’t decided on specific direction yet. Should we create a completely new product that nobody has experienced before, or should we enter a well-known path where other business communication tools have already succeeded? We weren’t sure. All kinds of creative ideas kept coming to our minds like developing a chat for minority groups or creating a team messenger for deskless workers to use on the go. But we knew that we had to position our product properly. We started researching to understand what to choose and which way to go. Even though creating a new market sounded like an exciting idea, we chose to build upon the current market of team messengers. Here’s why. Have you tried to find an investor to fund a product in a highly competitive field? It’s no walk in the park. Investors don’t want to put their money into another Slack, Trello or Zendesk. If your project isn’t something new, you’d better have a very strong competitive advantage in mind. If you look at the top funded projects on Kickstarter, you’ll find nothing but highly creative and bright ideas — from water saving showers to desk toys to portable coolers. “The first,” “the only,” and “world’s first” are popular keywords used to describe projects on this fundraising platform. Not every innovation becomes a success, however. While an innovative project is more likely to get funded, it also involves a higher degree of risk compared to a business entering an existing market. The point is, if you want to create a new market and find investors to support your creative idea, you should get really innovative. Bear in mind that your product will be a totally new concept to your potential customers. “If I had asked people what they wanted, they would have said faster horses” Henry Ford said. Coming up with a great idea isn’t enough. It’s even more important to convince people they need your product. Take Apple, for example — even though sensor smartphones already existed when the first iPhone was introduced in 2007, this innovative company created a demand by determining the value of their product and invented a new market craze revolving around what is essentially a plate of glass, steel and plastic. That said, not only do you have to deliver value to your target audience and explain how your product is going to help, but you also have to bring to light a problem people didn’t know existed before. Creating a new market isn’t easy. It requires courage, enormous confidence and serious luck. Market research usually starts with analyzing your competitors. Creating a new market means you are the pioneer in that niche, and there’s not much data around to analyze. It’s always been easier to build on what others are doing by adopting their experience and incorporating new cutting-edge practices. However, when the landscape is unexplored, there will be many mistakes, failures, iterations, and product variants. Therefore you may need to spend big bucks before your product finds its market fit. To summarize the points above, if you create a new market for your innovative product you take lots of risk, but the potential reward could be much higher compared to swimming in a pond full of competitors. Entering an existing market can be quite challenging as well. It’s important to understand the ups and downs of choosing a populated market for your product and have a good market penetration plan. When I was a little girl, my father introduced me to the basics of marketing and product market share. One of the old ladies sold her potatoes from a fancy sack and had beautifully painted price tags that really stood out. “This is marketing,” Father said. Another lady was smiling and having friendly chats with the customers who actually lined up to buy potatoes from her. At that moment, I learned something. I realized that having exactly the same product, a friendly approach and a bit of imagination gives you a chance to succeed and enter a competitive market. You have to convince people who normally buy potatoes from that friendly lady with a smile that yours are just as good if not even better, and catch them with a competitive advantage — lower price, longer working hours or a full refund if they come across spoiled potatoes. 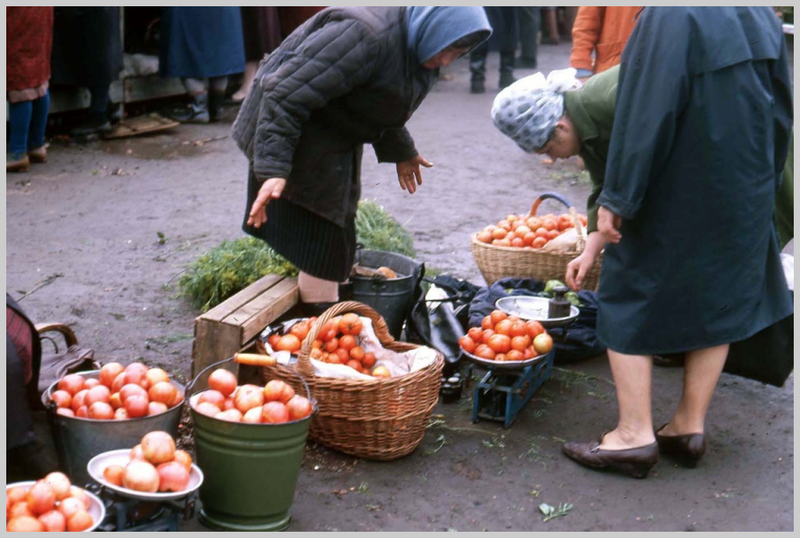 We’ve realized we can’t be just another lady at the market selling crops. We need to have several key points to make our team messenger stand out. In other words, you have to put that same product in a very beautiful sack. After an in-depth analysis of our competitors, we were surprised to find that majority of team messengers have pretty much the same product. This is when marketing comes in place and influences customers’ decision making process. If two companies with the same products are competing for a customer coming from Google, this is when things like landing page design, texts, videos and product pricing can make a difference. However, it’s not enough. Customers are smart and educated people; they will ask their friends, read the reviews and see the feedback on social networks before making a purchase decision. It’s your task to make sure what they find online will make them happy and encourage them to submit their precious email in your sign up form. Here are some key reasons why we’ve chosen to develop a team messenger with a competitive advantage rather than developing a totally new communication tool. We don’t want to have an investor control our every step. Our initial goal is to be self-funded and independent. The funds that we are able to invest in market research for our startup, as well as educating our customers, are quite limited. Finding new markets isn’t easy. All the innovative products that involve building a new market usually have some strong idea as well as a huge dose of enthusiasm behind them. While our team has all the enthusiasm in the world we don’t think we have an idea that would revolutionize the industry — yet. On the other hand, we already see many opportunities for business communication improvements that we plan to turn into our competitive advantages. 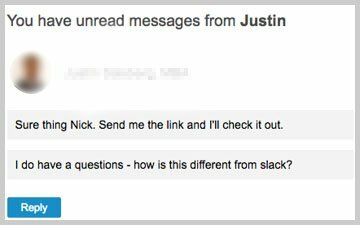 Slack did a great job creating a new market for business communication. The idea of a team messenger is already validated by thousands of users. Still, lots of teams worldwide are not using team messengers yet, so there is a great deal of market share left to conquer. We hope our app will help these people by fostering their team collaboration as well as improving the way they communicate at work. We’ll continue to share our SaaS startup experience in future blog articles. It’d be amazing if you shared yours in the comments below. Let us know which market you’ve chosen to hit with your brilliant idea and why.